Editor’s Note – Excess fresh food is being provided to patients in the University of Vermont Medical Center’s methadone clinic. This keeps the extra food from being wasted! This article was originally posted on Seedstock and written by Laura Hurst. Treating those overcoming addiction requires a holistic approach, much like remediating food systems, says Travis Marcotte, Executive Director of the Intervale Center. As former users tackle the road to recovery, they might not have the resources to access healthy food. The clinic wanted to change this. 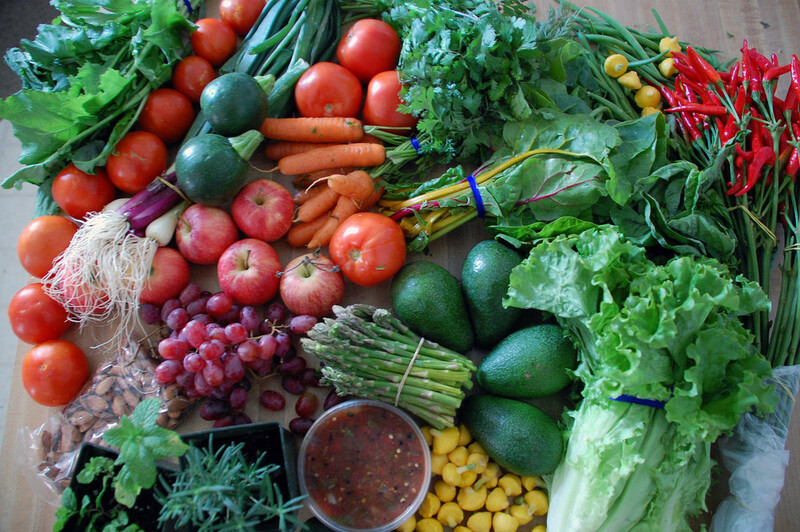 Because many patients do better in treatment when provided with healthier food choices, the Intervale Center began delivering a weekly batch of fresh produce to the clinic’s waiting room, along with recipes and suggestions on how to prepare the vegetables. “Anywhere we can engage people in local food and have that conversation, and, in this case, really help people navigate a troubling time in their life, is fantastic,” Marcotte says. The food deliveries to the methadone clinic were part of the Center’s broader Gleaning and Food Rescueprogram, in which gleaners collect fresh fruits and vegetables during peak growing season from local farms and donate them to income-eligible families. About 125 to 135 families who receive a weekly allotment of food through this program. 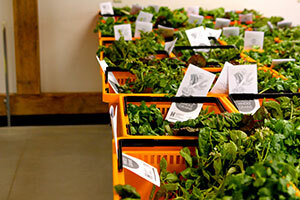 Marcotte says that the deliveries are akin to a community supported agriculture (CSA) box. He notes that the experience of receiving a box of food can feel impersonal for people struggling economically. To address this, the Center aims to include its recipients as partners, so that they may find a sense of community in addition to a healthy resource. The demand for alternative food sources is larger than the supply of organizations that can provide such services, according to Marcotte. The Intervale Center plans to expand its food recovery program to accommodate a long waiting list, but the allotments are contingent upon the food they can glean in the community. Some of those complexities include health and sanitation, regulation and responsibility issues, he says. The reception of the clinic program was positive, and Marcotte says that Intervale would like to turn the pilot program into a permanent program next summer. Assisting people in transitional stages is not a new mission for the Intervale Center. The organizationVermont Works for Women partners with the Center for its transitional jobs program that pairs women seeking employment with opportunities like those at the Intervale Center’s Conservation Nursery. The nursery grows locally sourced shrubs and plants used in land and ecosystem restoration. The goal is to not only “connect people to the food, but also to the land and how that food was produced,” says Marcotte.